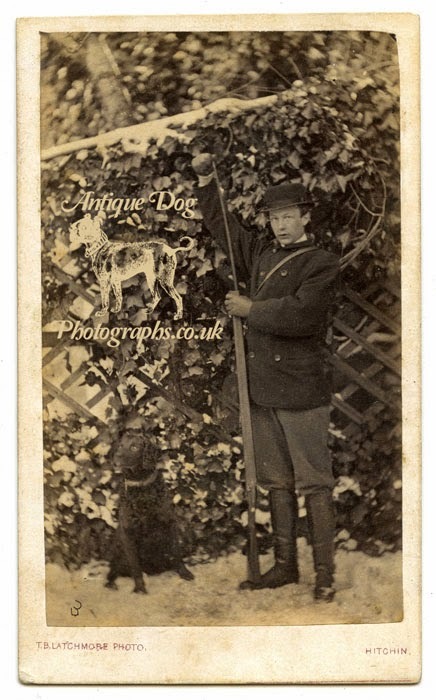 Here we have another first in my collection, a portrait of a young man and his dog taken outside in the snow... real snow not like the "studio snow" in this cabinet card. The young man stands and pretends to load his muzzle loading shotgun, obviously a prized possession and perhaps a tool of his trade. 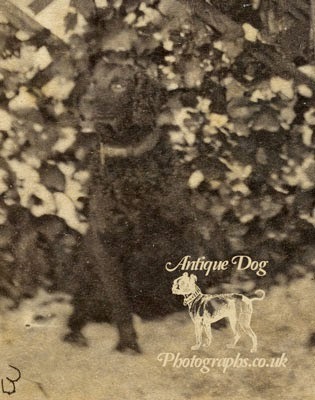 It is likely this young lad used his shotgun for waterfowl hunting, his Curly Coat retriever is our clue to this, as this is what the breed was originally bred for. 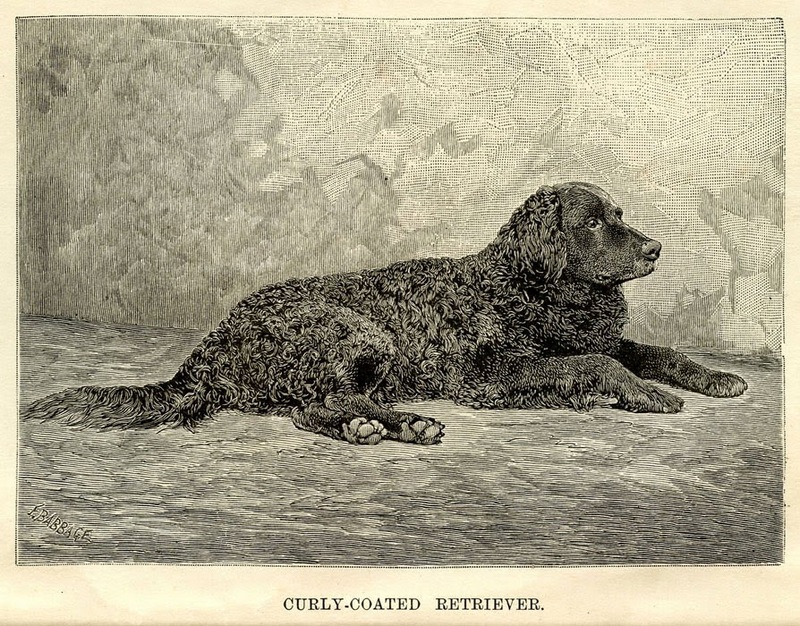 "Such a cross [of the Retriever & Poodle] may conceivably have been resorted to by early breeders, and there was little to lose...for the poodle is well known to be by nature, if not by systematic training, and excellent water dog, capable of being taught anything that the canine mind can comprehend." 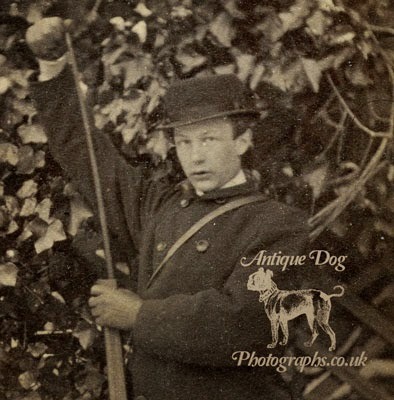 The photograph of the young man & his Curly Coat was taken in Hitchin, Hertfordshire by Thomas Benwell Latchmore. 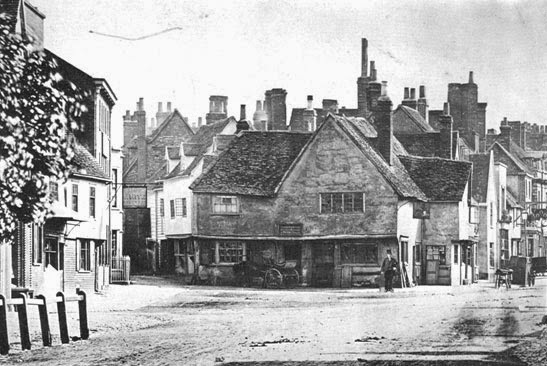 (1832-1908) Latchmore was the eldest son of a Quaker family who ran a grocery shop in the High Street, Hitchin. An interest in chemistry led him to study photography. 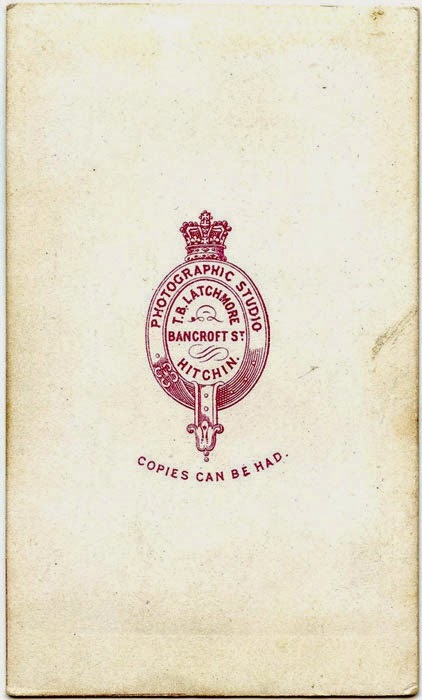 About 1865 he built a studio in Bancroft Street, Hitchin and set up in business. We can date the portrait to between 1865 and c1870 as it was taken at Bancroft Street. Latchmore bought other property in Brand Street, Hitchin in 1870 which had belonged to another earlier photographer George Avery, he moved his business there, living there until his death in 1908. Click here for more Curly Coat's from my collection.